It’s time to do less typing and more talking with the new real time voice-to-text feature in iOS 8. Relatively little has been said about the new real-time dictation function in iOS, and in previous versions it may not have been worthy Stop Typing: Better Learn To Dictate Text with Dragon Dictate for Mobile Devices [iOS] Stop Typing: Better Learn To Dictate Text with Dragon Dictate for Mobile Devices [iOS] Nuance's iPhone apps, Dragon and Dragon Search have been available for free download for over a year now. Since then, the company has added a few other similar voice to text apps to its line... Read More of the highlight. But with the recent iOS 8 update, Apple has restored bragging rights when it comes voice dictation and mobile devices. The dictation feature is ready to use when you install iOS 8. You don’t need to add a new keyboard, and it works in any iOS application. However, you can only activate voice dictation using the default Apple iOS keyboard – it doesn’t show up in third-party keyboards. The feature also requires an Internet connection to work. What you dictate is recorded and sent to Apple’s server, and in turn it converts what you say into text on your device. The feature will also access the names and nicknames in your device’s address book for more accurate spelling of names. When the default keyboard pops up, simply tap the microphone button to the left of the space bar, and then start your dictation. Here’s a demo of how it works. Feel free to pause and collect your thoughts between each spoken phrase or sentence. If you pause more than 10 seconds, the feature will automatically deactivate. I also found that the dictation will work while there is low level ambient music in background. This Apple support page provides a full list of commands of the OS X version of dictation, and these same commands can be used with the iOS feature. After you click the Done button, you can even select the dictated text, and have it read back to you. You need to enable this feature in Settings > General > Speech > Speak Selection. When enabled, this text-to- voice feature will also work in any iOS app. I also could also not get iOS dictation to spell numbers; instead it automatically converts spoken numbers to the numeral version. 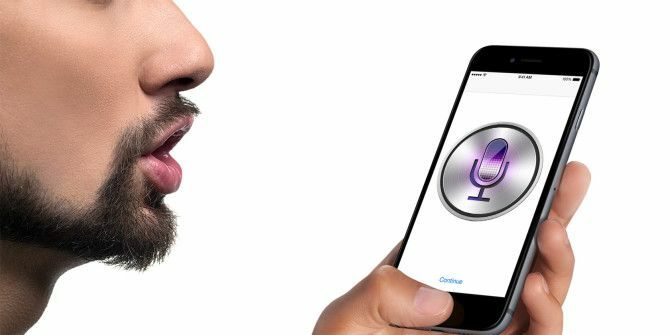 With real-time voice-to-text dictation added to iOS 8, it’s clear that Apple intends to keep improving its dictation technology, and we should see similar improvements in OS X Yosemite, due out soon. 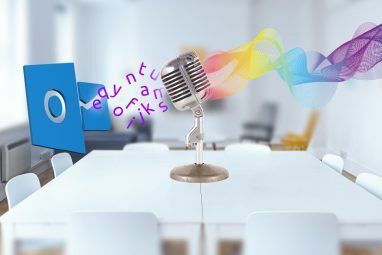 There are other voice dictation apps in the iTunes store, such as Voice Dictation for Notes ($1.99), which includes automatic grammar correction, and support for 25 languages and dialects with speech recognition; and Nuance’s own mobile Dragon Dictation [No Longer Available] app, which unfortunately doesn’t include real time dictation. Apple’s new dictation feature, however, may render these apps obsolete, because they can’t be used system-wide. While you may not always be in position to dictate text on your iOS device, you will easily get hooked on how fast voice dictation can type for you. What do you think of the improved dictation in iOS 8? Explore more about: Speech Recognition, Speech to Text. voice typing how to use voice to enter number? I have a new one. When I say "John L. Scott" (that's my company name, it types "John L. Scott Mary Condello." When it does that, it pauses at John L. Scott and stops receiving dictation. When I'm done (because I haven't noticed it paused) it only records the one with Mary's name attached and no further message. I have reset the dictionary so there are no custom words. There are no text shortcuts left in settings. I can't find any setting that allows for a dictation shortcut that I may have inadvertently activated. It doesn't make any sense for it to add on an extra 5 syllables that haven't been spoken. You can also say "right paren" and "left paren" in place of parentheses. J, have you tried restarting your device to see if that helps? I notice when things get a little buggy that it helps to do a force restart to clear stuff up. Recently and only in Google search with Safari, all of the words I dictated show briefly and then disappear. This does not happen in Yahoo search. All the other apps have the voice dictation working ok. Help please! Jim, that's interesting, but I can't explain why it's happening that way. I suggest raising your question on the Apple support site. The forums often provide great responses to technical questions. Sorry I could not be of help. It's happening to me too, even as I dictate into this comment box. When I press done, The text disappears. However, if I touch the text didn't turn my finger into a cursor in the text remains. Anyone have any ideas? This has happened once before but it went away on its own and it's only been happening today. 1. The microphone will randomly shut off, even in midsentence. 2. Dictation and Siri are unavailable inexplicably. Probably some sort of network issue and therefore understandable. However, this happens much more often then I would like. 3. Changes are made to the text as I dictate, which is usually a good thing as it is context that drives valid corrections. However, sometimes changes are made after I have finished. I may not see this if I'm not paying attention, and these typically are changes in the wrong direction. 4. The worst is when it deletes everything. That seems to happen randomly, but they are also specific places where I know it's going to happen. This text box that I'm typing in now happens to be one of them. As does eBay. I have discovered an imperfect workaround: if you are in one of these deletion zones, do not let dictation finish, and do not hit "done". If either of these happens it will delete what you just dictated. Instead, tap elsewhere on the screen. This way it won't delete what you dictated. If you're doing something long, like this message, then, yes, that means randomly stopping what you are doing, tapping elsewhere, and coming back to it. Otherwise, you risk having it all vanish in the blink of an eye has a microphone randomly quits on you. All in all, an extremely useful tool. However, a few things need to be fixed. Especially number four. As the dictation has already been done and is on the page, I know the hard part is already there. It just needs not to then delete it all again. I don't think you understood my comment. Upgrading my iPhone5 to iOS8 reveals many bugs with the dictation feature. Are these perhaps problems that are unique to my iPhone5 because i upgraded it? Do iPhone6 users on iOS8.2 not have these same problems? Regardless, i have learned a personal lesson - Do NOT upgrade to a new operating system if your iPhone is working fine. Apple does not give you an ability to revert back to the previous iOS. Jon, sorry to hear about the issues you're having the iOS 8 upgrade. It's really difficult for me to comment on these types of issues. Because it's difficult to know if the problem is unique to a few users, or if it's a universal problem. I always recommend readers go to the Apple support site to communicate any issues they are having with their devices, and to possibly find solutions. Sorry I couldn't be of more help. The new feature of displaying text as it is dictated is certainly an improvement. However most of the other apps that I use on my iPhone5 work poorly with voice recognition and dictation. For instance I tried using dictate this comment. Each time I tapped "done" all my text was deleted. I use Safari. Very Frustrating! Also Google docs puts a rogue intention at the beginning of dictated lines and DELETES the last few characters once "done" is tapped. Making voice tecognition with the app useless. There are still too many bugs with ios8 and voice recognition - even after 6 months of release- to recommend to anyone. The benefits do not outweigh the problems. Jon, I agree. I don't rely on iOS dictation for long pieces of text. And unfortunately I won't use it when I'm other people. It feels awkward. I will use Siri around others, but I won't dictate text. Dictation works best for short messages. Thanks for your feedback. I have found that the Voice-to-Text feature on my iPhone 6 and my iPad Air have actually grown much worse since they began translating in real time. I used to be able to say a whole paragraph with only one or two errors and now there are usually three or four errors per sentence. Also, voice to text autocapitalized words whenever you start speaking, even if I have restarted "typing" in the middle of a sentence and the spacing when you start and stop dictating is has become weird. I have used voice to text a lot over the last couple of years and I feel pretty confident saying, it's getting worse. Eric, thanks for the feedback. I don't have enough experience with the voice-to-text on iOS, mainly because I use the Swype key so much. I voice to text mainly for quick short notes and text messages. I recommend that you send Apple your feedback, because if they hear about the issue enough, they may respond to it. 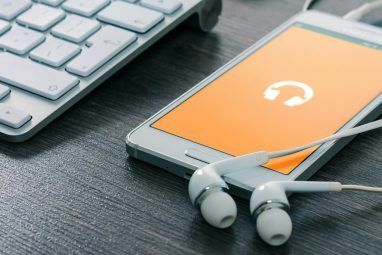 Voice to text is still in its infancy, but it's not good that it is getting worse rather than better. Thanks for letting us know about your experience with it. Can it help write a book? Moses I, I used Dragon Dictate to help write my book, but I did not use it exclusively. Like others above, I do wish that it was possible to train the dictation feature to learn proper names and so forth. My son is named Dashiell and the iPhone randomly transcribes his full name as Daschle or his nickname Dash as simply "—" when I mentioned him by name in a text message. Similarly, my wife spells her name Kristan with an "a" and the phone often will spell it Kristen or Kristin instead. Why does my iPhone sometimes not give me the option to use talk to text? Meaning, the microphone isn't highlighted and will not allow me to click on it at times while texting the same person that I've always used it for? Summer, I've seen a few bugs with the keyboards on the iPhone, including the default keyboard. You might try force quitting the application in which you are trying to use the microphone, and then see if it appears when you open the application again. I am a relatively new iPhone user -- have had my iPhone 6 for just a few months. In general, I have been just thrilled with the dictation feature. I find it to be almost totally accurate, it's quick and convenient and allows a very natural talking voice. I was surprised that the iPhone 6 manual did not have a full list of the dictation commands, and that I had to either figure them out myself or seek more comprehensive information online. Things like "equals sign" or "numeral 17" were not listed in the manual, or how to dictate dates or currency. 1. As far as I can tell, there is no way to spell out proper names or difficult words like foreign terms that you KNOW will create a dictation problem. Does anyone know if there is a way to do that -- to tell the program that you want to spell (let's say) Tadeusz Zylinski? 2. As Sherri mentioned above above, the microphone cuts off arbitrarily. It does NOT have to do with my pausing too long -- it often cuts off while I am actually in mid-dictation. And combined with the problem that Parker mentioned -- that when the mic disengages, the program is not typing a space after the last word, it's quite annoying to have to keep pressing the mic button and remembering to manually insert a space and then re-apply whatever formatting you were using. For instance, if I say Caps On, and then I'm dictating a title, and the mic cuts out, when I press the mic button again, it starts with standard defaults. So I have to remember to repeat Caps On. And manually insert a space before hitting the mic button. 3) As other have mentioned, the inability to edit by voice is frustrating. I can see how the casual user might not need that or miss it if it's not there. But for people like me who do a serious amount of dictation, there should be a way to "turn on" more advanced features like editing by voice, even if it means a greater learning curve. I'm really surprised they haven't done that, since the technology already exists. It couldn't be that difficult, right? Despite these gripes, I am VERY thankful the dictation feature is as good as it is. My (human) assistant recently retired, and after years of having her take dictation, I was so hoping when I bought my iPhone that it could "replace" her. Well, it doesn't (replace her, that is) but it does a way better job at taking dictation than the voice dictation program in my Windows 7 laptop, which is really horrid. 1. I don't think you can train the iOS dictation feature to learn special terms. 2. The dictation feature can be a little buggy. I can rarely get the Caps On feature to work. 3. The dictation feature is definitely not good for editing. It doesn't compare to Dragon Dictate for the Mac. Apple still has a ways to go to get the voice dictation where it needs to be. Also, auto capitalization, auto correct and check spelling are enabled. I have played with these settings to see if it makes any difference in dictation accuracy but there was no impact positively or negatively. Mmm, Luigi, not sure I can help on this issue. Try the Apple forum or if you live near an Apple Store, set up an appointment to see if they can help. My hunch is that Siri may not handle medical dictation very well, but I could be wrong. I have trouble with my hands through alarms and have had to rely on dictation for a couple of years. sometimes it now has issues with medical terms, or medications that is used to give correct. Words like a cycle of ear, docs is always soon, may Proxim. It also has issues with gen. words as well as capitalizing the first word of a new sentence and dictated punctuation. I have trouble with my hands wrist arms and have had to rely on dictation for a couple of years. Sometimes it now has issues with medical terms or medications that it used to get correct. Words like acyclovir, doxazosin, and naproxen. It also has issues with general words, as well as capitalizing the first word of a new sentence and dictated punctuation. Prior to the new phone and new iOS, I would not have had to make any corrections to the first paragraph above. Luigi, Dragon Dictate has special software for medical dictation, so I'm wondering if Apple's general dictation program can handle technical language like medical terms. On the other hand, if it seemed to be working better the prior iOS, you might shoot Apple some feedback about the differences that you notice in the most recent upgrade. Since upgrading from an iPhone 4S to an iPhone 6+ (now on iOS 8.1.3) I have had a lot of issues with dictation accuracy. For me, real-time dictation has led to a large decline in accuracy. Luigi, thanks for letting us know this. I don't experience a lot of problems with the dictation feature, especially now that it provides live dictation. What particular issues are you experiencing? Catherine, is the microphone working on your device? If you live near an Apple Store, I would definitely make an appointment with an Apple expert to see what the problem is. Sorry I could not be of more help. I read on another website that the dictation issue with third party keyboard apps has to do with Apple's refusal to allow them access to the dictation database. It is not a failing of the third-party app developers. Since that is that case, it is unlikely to change soon. Apple is notorious for a ignoring the wishes of its consumers and this is just one more reason why people are jumping to Android and MS tablets. Those companies' developments are driven by consumer preferences. Apple's offerings ignore what the market is asking for. For example, everyone I know wants numbers on the main keyboard. Why is Apple ignoring this? Leslie, you make some very valid points. I also wish Apple would make a USB trackpad. The issue with rechargeable batteries is atrocious. I've used Windows speech recognition and the Dragon product but neither come close to the accuracy of the iOS 8 dictation feature. I used it in iOS 7 too, but iOS 8 is even better. I've used Windows speech recognition for a long time and it doesn't even come close to being this good. Thanks for the information. Ivy, I'm surprised to hear that. Most reviewers contend that the Windows version of Dragon is a lot better, but I have no experience with it. My problem with iOS 8 dictation is that it mutes other sounds on the computer when activated, and does not provide the range of commands found in Dragon. Also with Dragon Dictate, I can use the TableMike to dictate and send commands on top of ambient music. Lee just say "all caps on" and everything will be in caps after that. Do you know if there is anyway to have dictation work when someone calls with a phone? I would like to put the person on speaker phone and have dictation work. I've tried it myself and it does register a single word. It works very well with a human voice. Hmm, I'll have to give that a try, Matthew. Sounds like you're saying it does work? To get caps to stay on say all caps on and everything from that point on will be in all caps. Hope that helps Lee. I have been using Siri to dictate messages ever since I discovered the feature on my iPhone for S a couple years ago. In fact I am dictating this comment. However, while I like the real-time dictation capabilities of Siri with iOS 8, I find that I am having some new problems that I have not experienced before. Prior to iOS 8, Siri always added a space at the end of the word. She also capitalize the beginning of any new sentence nearly every time. Now, if dictation gets disconnected, or sometimes when I am dictating a sentence, Siri does not insert the space after the word and if I want to continue dictating, rather than hitting the microphone button again, I have to manually enter a space. Out of the 200 messages or so that I dictate a day, I can usually count on 5 to 10 messages with capitalization problems, and nearly every message where Siri stopped for a moment and I have to press the microphone button again, she does not enter the space. Probably 2 to 5 messages a day, Have words that do not have spaces between them. All in all, I like the new version, but these two bugs are fairly frustrating to me because I use dictation. On my two hour round trip commute each day. I'm using dictation in the Word app on the iPhone 5S and the microphone shuts off automatically every few sentences (approximately every 30 seconds). Any idea why and what I can do about that? I have to keep pushing the microphone icon. Sherri, if you pause too long, the dictation might turn off. There could also be a conflict with the Word app. I haven't read the entire thread here but you can dictate numbers by saying numeral seven and Siri will type 7. Hope that helps! On another topic, I am noticing that Siri is not consistent with capitalizing the first word in a sentence anymore. Any ideas about that? I will read this thread later. 10Hammers, the voice dictation program is not perfect, and it is inconsistent, but the capitalization of the first word seems to work for me. And yes, if you give it a try, you will see that you can dictate numbers with the Siri dictation. Any idea why there aren't some basic editing commands like "scratch that," "delete word," and "delete line" to name a few. These are absolutely essential when dictating in Dragon. Have the same complaint with IOS and their fanatical resistance to having a back arrow on the keyboard. Having to stop what I am doing and place my finger on the precise word (which, depending on where on the screen you are, can be a challenge)is so much more cumbersome than a simple,easy arrow key. Ken, it's weird. I heard that Apple is using Dragon Dictate technology for their dictation programs, so you would think those features would be in there. I mainly use the Mac dictation when I need to get the correct spelling of a word that I can't figure out. Dragon Dictate is still running stable on my Mac under Yosemite, but I don't always use it because it difficult to dictate and research an article at the same time. But I will use it to dictate comments like this. I guess at some point, Apple will have full dictation features in future OS X releases. Let's hope anyway. My problem with the new dictation feature is that I cannot find a way to keep all caps on for more than one word. I like to capitalize whole sentences or phrases when I am making some reminders to myself. I used to be able to do that before iOS 8. Yeah, Lee, I get your point. You have to say "All Caps" for each word, instead of saying it once for all the dictated words. Thanks for bringing this to our attention. Since iOS8.1 there is a new “Enable Dictation toggle” in Settings > General > Keyboards. This allows you to toggle dictation for the Apple keyboards that you have enabled in the Settings. Third-party keyboards gain a dictation option to use a third-party service (e.g. Google Voice Dictation, Dragon Dictation from Swype (which already has a separate iOS app) as opposed to Siri (unfortunately). We now have to wait for apps like Swype, Swiftkey, Touchpal, Path Input or iKeywi to support voice dictation within their apps. On Android Swype has their own Dragon Dictation build in their app. Touchpal has their own voice dictation software. Swiftkey uses the Google Voice dictation. Robin, this is good news. If Swypes picks up voice dictation, I'll be a happy camper. Thanks for letting us know about the dictation updates. Also, say "numeral" before the number and it will give you the numeral rather than the number as a full word. Aww, thanks, Paul, for letting us know that. I came to this article because my microphone had disappeared with an update/restoration. Siri was automatically Off and therefore the microphone button was gone.Thanks for being here. There used to be a quick way to correct various spellings (Kristina vs Christina) by clicking blue underlined words. That feature seems to be missing in iOS8. Any idea where it went? Siri must be turned on for the mic key to appear on the keyboard. Thanks, William, for letting us know that. I believe Siri is turned by default, but if it isn't, this is good to know. Good article. On my phone I had to go to Settings/General/Accessibility, then speech. Thanks for your feedback, Kerry. Capitalization of a single word can be done by just adding "cap" in front of it, such as "cap drama" would write "Drama" in iOS8. Still, no way to edit what's already down. Awesome, E.F., thanks for letting us know that. I'll give it a try. Vernon, thanks for letting us know this. Hopefully Apple will add support in an upcoming update. The dictation feature is installed by default. As far as I know it's not a separate app. It should be a part of the default iOS keyboard. Make sure you have Siri turned on in settings > general, and you have a wifi or cellular connection. If I say a number slowly it types it out "Eight", and if I say Numeral Eight it does "8". Also sometimes if I say the number quickly I get the numeral, but not every time. If you are referring to having items read back to you, you can find that under the Accessibility settings. It is called Speak Text and you can have it read as little or as much as you want and at any rate, as well. Great for proofreading something you have typed. Thanks. I do a lot with printing. There is another bug (not with your website) that may or may not be related to this. When I use a pdf reader like acroread and try to print to file in postscript, it produces a bunch of junk that CUPS can't deal with. I know I can print the pdf directly with no problems, but I run into this trying to print page ranges, etc.. I have posted quetions about this on a couple of relevant forums, but haven't received any response. Just in case this gives your technical people any ideas. As a group, MUO staff has a lot of expertise and your articles are great. The one thing that's really missing is a Print Artcle option. Your articles print very poorly in Linux, usually doing things like printing the first page followed by a bunch of blank pages. I have to copy and paste into Libreoffice writer and then edit out the cruft before I can get a usable printout. Joe, I will pass this on to the web techies on MUO, and have them look into it. Thanks. "I also could also not get iOS dictation to spell numbers; instead it automatically converts spoken numbers to the numeral version." I had this same trouble in an old version of Dragon Dictate for Mac! Apparently, the Dragon folks don't like to spell numbers, probably to make it easier to dictate into Excel (which works pretty well!) I have been considering updating my Dragon program(s), as my children are now old enough that their teachers expect typewritten reports. The children don't type too well, so I think dictation would improve their homework, but maybe we can try it with the phones first. Clinton, I find Dragon Dictate to be useful, but I'm not sure if the application alone will improve their homework. The problem I find is that it's not always accurate. You probably already know this, but writing dictation still requires lots of editing, and sometimes dictating your thoughts can actually be harder than manually typing, because you have to think about what you're going to say before you say it. However, I do like dictation for brainstorming ideas, writing lists, and transcribing written texts. And of course, it's very useful in an iOS device, because it reduces the amount of tapping you have to do. But again, editing is crucial. Thanks for your feedback. All I can say is that guy in the article top photo sure is wearing a lot of makeup! Lol, I just noticed that. I wrote the article, but I didn't choose the lead image. And you're right, that's funny. Think he needs a shave. Is there a similar voice-to-text app for Android? Could you please explain it in a new post? Thanks. 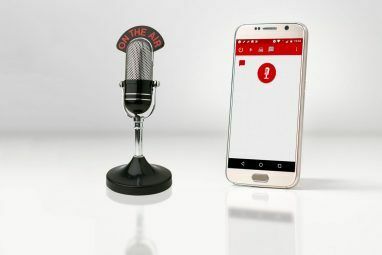 If you turn on the voice dictate feature of the Google Keyboard (https://play.google.com/store/apps/details?id=com.google.android.inputmethod.latin) that already has the feature discussed in this article. In the settings (either the keyboard or Google Now) you can turn on the option for it to learn and recognise your own voice better. I've been using mine for a while now and it understands me very well. Sorry Kim, I don't use Android. I'll see if anyone else on our staff knows the answer to your questions.